Make that pot of coffee and get ready to enjoy a luscious cinnamon roll. This recipe makes 16 cinnamon rolls that can be eaten all at once :), or wrapped individually and tossed in the freezer to be savored another time, like in 2 hours. the ingredients include specific flours to be used and a secret ingredient called pysllium husks. Pysllium husks work much like xanthan gum and give your baked goods body and shape so they don’t fall apart. Bob’s Red Mill carries all the flours you need. You can also try using the gluten free flour blend you have at home. It beats buying more flours and hey, we all need a little adventure in our lives. 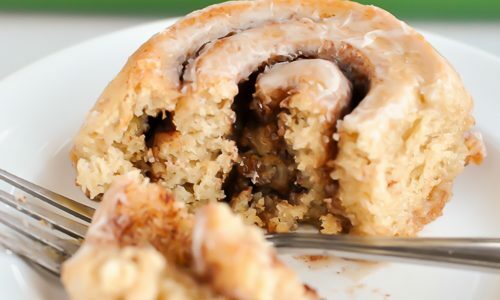 Make sure to go here and read the directions on how to make these amazing looking cinnamon rolls. Click here!